Abstract: How do you really get to know a practitioner without working through (several) projects with them? Whether you are looking for an Engineer with Data Science chops or a dedicated researcher to work on a specific problem, this talk will explore industry-leading practices used to assess Data Science and Machine Learning candidates for hire from an ever changing field of practice. Bio: Justin Norman is the Manager of Cisco’s Enterprise Data Science Office in the San Francisco Bay Area, which has the mission of accelerating the practice of Advanced Analytics at Cisco. In this role, Justin is responsible for building and maintaining a highly talented, cross-functional team of Data Scientists and Analytics professionals, focused on providing corporate-level leadership in advanced analytics. As the Data Science Team lead for the Cisco Enterprise Data Science office, he is also responsible for the selection, development, training, validation, delivery and implementation of analytical products for a robust portfolio of corporate-level data-driven initiatives. 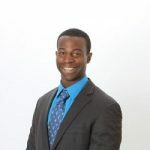 Prior to joining Cisco, Justin was a Big Data Systems Engineer with Booz Allen Hamilton after serving as a Marine Corps Officer, with a focus in Systems Analytics and Device Intelligence. Justin is a graduate of the US Naval Academy with a degree in Computer Science and the University of Southern California with a Master’s Degree in Business Administration. He enjoys spending time riding his motorcycle, playing music, and teaching science and technology to young men and women. He continues to serve his country as a reserve Marine Officer.